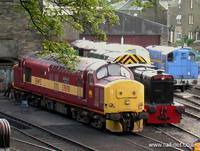 Over the weekend of the 19th and 20th of June diesels took over the short, but hilly, Keighley and Worth Valley railway between Keighley and Oxenhope. 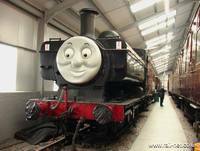 With current visitors from DRS, EWS and preserved examples from both the East Lancashire Railway and the Midland Railway Centre. The morning started off rather well with lots of sun as the pictures will testify. Being a bit of an early riser I was given a tour round Oxenhope shed by the site security guard who was doing his rounds, many thanks to him. Then once the running started I switched over to video and got some of the thrash that was on offer. But, sadly, mid afternoon the bad weather started which called a halt to the days photography. 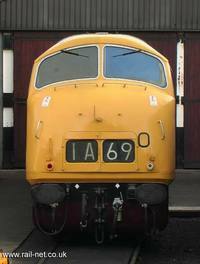 37670 basks in the early morning light at Haworth Shed prior to it's morning duties. 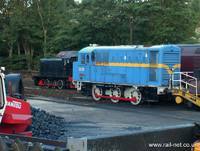 EE prototype shunter D266 at Haworth shed. 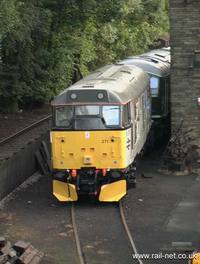 In the early morning light 37670 at Haworth shed. 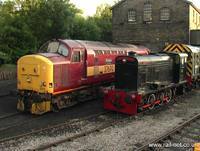 In the early morning light 37670 and 31271 at Haworth shed. 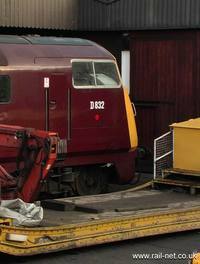 37670 and industrial shunter 23 sit at Haworth shed. 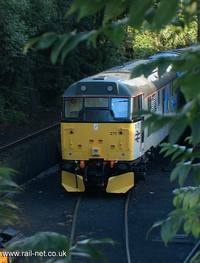 31271 through the trees at Haworth. 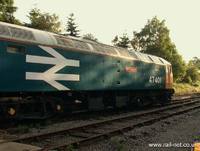 With the sun rising behind the sheds 47401 stands at Oxenhope before the mornings gala duties. 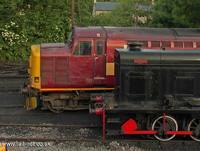 In the early morning light 37259 and 33030 wait at Oxenhope before their mornings gala duties. 47401 as the sun comes up. 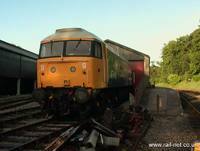 47401 thrashes its way up the bank out of Ingrow. 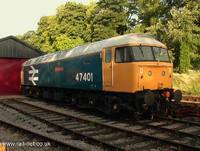 47401 upon arrival at Oxenhope. 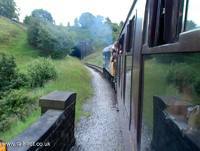 DRS are regular users of the Keighley and Worth Valley Railway for testing purposes. 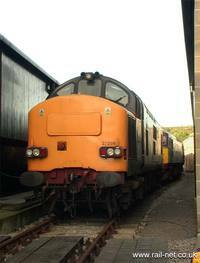 33030 and 37259 wait at Oxenhope. 33030 and 25059 double head a Keighley Bound service. The first working of the Warship on the Saturday saw it attached to the front of 25059, seen here heading towards Oxenhope. 37670's driver shows a mastery in the art of thrash. 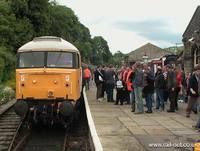 The 37s make a spirited departure from Haworth.